President John F. Kennedy, Malcolm X, Martin Luther King, Jr., and Robert F. Kennedy were all assassinated between 1963 and 1968 under circumstances that still have not been adequately explained. “What if?…” All of us have uttered those two words at one time or another as we contemplated what might have been. Often our focus is personal. “What if mom or dad had lived long enough to meet the new grandchild?,” for example. Sometimes the focus is global. In the case of Project Unspeakable—a political meditation on truth, morality and secrecy as much as a compelling new play—the “what if” has profound implications for our times. “What if JFK, RFK, MLK, and Malcolm X had not been assassinated?” the play asks. “What would the world look like if they had lived?” That all four were gunned down within a five-year period—1963–1968—remains a life-altering backdrop to the lives of many who came of age in the sixties. The script, completed in advance of the November 22nd fiftieth anniversary of President Kennedy’s assassination, has asked intriguing questions, beginning geopolitically. President Kennedy had begun to turn away from violence as a head of state’s primary governing principle, pivoting toward peacemaking. There is evidence he planned to withdraw U.S. troops from Viet Nam if reelected in 1964. And, in his pointed remarks against the Viet Nam war and in support of workers’ rights—MLK was marching with striking sanitation workers in Memphis on the eve of his April 4, 1968 assassination—Martin Luther King, Jr. had begun to articulate the connection between class and war to the struggle for civil rights. In addition, at the time of their deaths Malcolm X and Robert Kennedy had also begun to enlarge their vision of social justice. From the perspective of today’s profeminist men’s movement, the brothers Kennedy and Malcolm each were becoming more contemplative, ready sooner to negotiate and collaborate than to resort to aggression. Dr. King had recognized that by connecting the dots of the isms beyond race, he was extending his moral authority, demonstrating a different way to express courage. There is much for us to consider in the “what if” the play asks about men at the cusp of change, especially men in leadership positions. In many ways President Obama both exemplifies aspects of the transformation of masculinity and the rigidity of conventional manhood. How do we understand him: caring father and equal marriage partner who unambiguously speaks up for women’s rights and gay rights? Or, Commander-in-Chief ordering more drone strikes in five years than his predecessor ordered in eight? Poised to become a Syrial killer one-minute, and championing nuanced diplomacy the next? Even if Court Dorsey, who wrote Project Unspeakable, would not describe the play as about men per se, it is a play about men’s privilege and entitlement. Inspired by James Douglass’ JFK and the Unspeakable: Why He Died and Why It Matters (Orbis Books, 2008), an impeccably researched book that continues to attract a following more than five years after it was published, Dorsey, an activist-actor with a long resume creating socially-infused art, wrote Unspeakable to incite a complacent citizenry to defend a democracy under siege. Edward Snowden’s revelations of National Security Agency efforts to erode citizens’ liberties underscore why Douglass’s book and Dorsey’s play should be added to social studies curricula and debated in book groups and community forums. Anyone who has never questioned the official versions of the four assassinations should now be skeptical. That the play was meant for neighbors sitting around their living rooms to read aloud, as a staged reading in a faith community social hall, or produced as a full-scale theatre company production, makes Project Unspeakable a democratic civics lesson. The burgeoning gender justice movement was unfolding in the shadow of the assassinations. I was an activist in college in Washington, D.C. in the late 1960s. My first day in town I opted out of a tour of the national monuments to hop a bus visiting parts of the city that lay in ruin in the wake of Dr. King’s assassination. It was a time when few men were questioning how they were expressing their masculinity. Some of us were vaguely aware of the nascent women’s movement but didn’t necessarily connect its emergence to arrogant male antiwar movement leaders. I didn’t recognize in the spirited female responses to New Left men’s sexism that I was getting my first glimpse of women’s liberation. Forty five years ago, Trappist monk and mystic Thomas Merton—who coined the term “unspeakable”—corresponded with Nicaraguan priest, liberation theologian and (later) minister of culture Ernesto Cardenal. “The world is full of great criminals with enormous power, and they are in a death struggle with each other,” Merton wrote. “It is a huge gang battle, using well-meaning lawyers and policemen and clergymen as their front, controlling [news]papers, and means of communication, and enrolling everybody in their armies.” A harsh assessment when he wrote it in the wake of the four assassinations; sadly, still true today. Perhaps not many who read or perform Project Unspeakable will explicitly consider the transformation of masculinity as a backdrop to the play’s narrative. 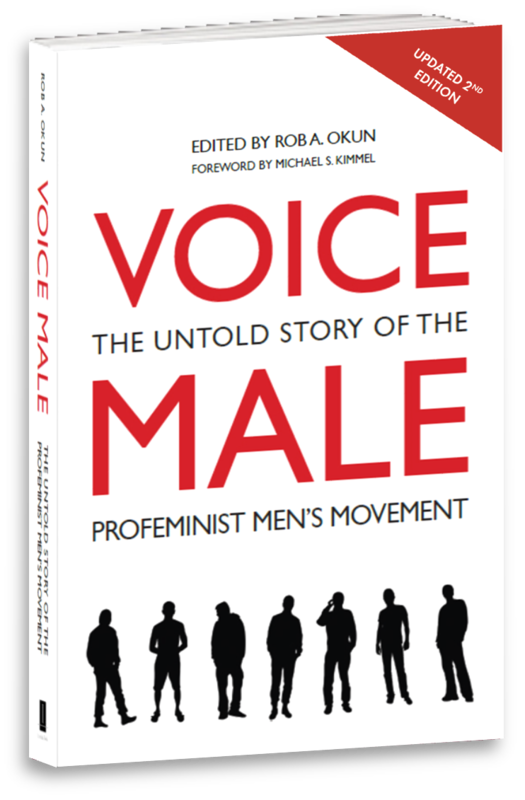 I hope some do, though, since “changing men” offer a ray of hope in a bleak political and moral landscape. To learn more, go to http://www.projectunspeakable.com. In addition to staging the play on or around November 22, Project Unspeakable recommends considering the following dates: January 15, 2014 – MLK’s birthday (born 1929) February 21, 2014 – anniversary of Malcolm X’s assassination in 1965; April 4, 2014 – anniversary of MLK’s assassination in 1968; May 19, 2014 – Malcolm X’s birthday (born 1925); May 29, 2014 – JFK’s birthday (born 1917); June 6, 2014 – anniversary of RFK’s assassination in 1968; November 20, 2014; RFK’s birthday (born 1925); November 22, 2014 – 51st anniversary of JFK’s assassination; February 21, 2015 – 50th anniversary of Malcolm X’s assassination in 1965.